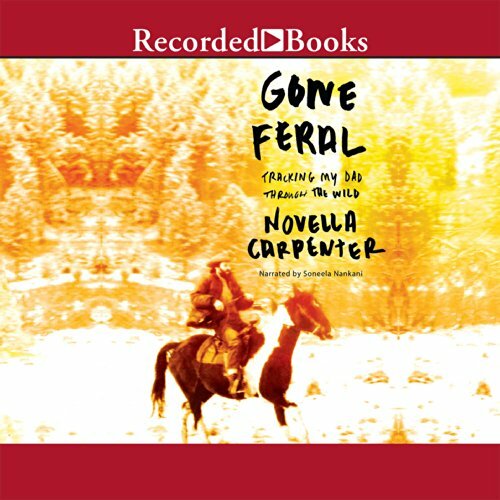 Gone Feral is Novella Carpenter's search for her father. Back-to-the-land homesteader, gifted classical guitarist, Korean War vet, hermit, curmudgeon, George Carpenter has been absent for most of his daughter's life. But when he officially goes missing - only to be found in a fleabag Arizona motel, escaping the brutal Idaho winter - his daughter is forced to confront the truth: Her time with her dad, now seventy-three years old, is limited, and the moment to restore their relationship is now. Thus begins a journey of discovery that carries Carpenter from her Oakland urban farm to her father's ramshackle cabin on a quest for connection that reveals who she is and where she came from. In Gone Feral, Carpenter, now a grown woman contemplating a family of her own, returns to Orofino to answer why her father chose a life of solitude. She quickly finds that George is not living the principled, romantic life she imagined, and the truth is more complicated than anything she might have imagined. As she comes to know the real George, Carpenter looks to her own life and comes to recognize her father's legacy in their shared love of animals, of nature, and of the written word; their dangerous stubbornness and isolating independence. In reckoning with her past, Carpenter clears the road to her future. Gone Feral sees the birth of Carpenter's own daughter, an experience that teaches that a parent's love is itself a wild thing: Unknowable, fierce, and ever changing. Raw, funny, unsentimental, alive with unforgettable characters and pitch-perfect dialogue, Gone Feral marks Carpenter's transformative passage from daughter to mother.